I am a lifelong booklover who works in the publishing industry and spends my days surrounded by books and fellow booklovers. I previously worked in a bookstore for a number of years and have formal qualifications as a teacher librarian. I love stories of all mediums and am a bit of a film buff as well. I am also an avid traveller and take the opportunity for a bit of globetrotting whenever I can. As a lover of books and a qualified librarian, I LOVE visiting libraries in other countries and the British Library is one of my favourites. 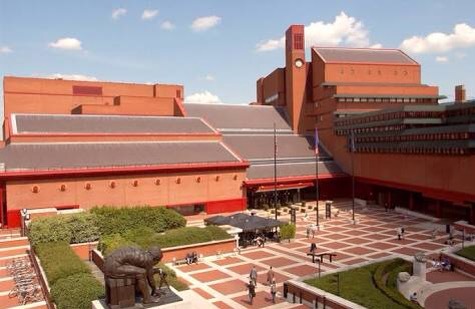 The British Library is the second largest library in the world based on the number of items catalogued. 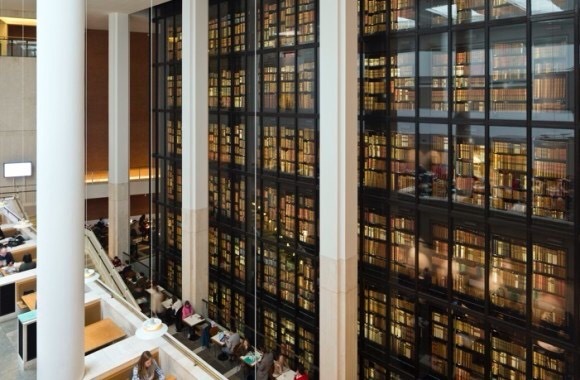 As a legal deposit library, the British Library receives a copy of every book produced in the UK and Ireland, which is approximately 8,000 per day. The Library’s collections include 14 million books as well as a substantial number of manuscripts and historical items dating back as far as 2000 BC. One of the best things about the British Library is that it is free to visit! 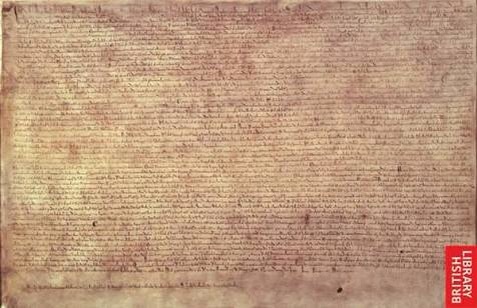 They have some of the most significant treasures in the world on display for visitors to peruse including: Shakespeare’s First Folio, the Magna Carta, handwritten Beatles lyrics and drawings on pages from Leonardo Da Vinci’s Notebook. My favourite part of the British Library is the King’s Library Tower. 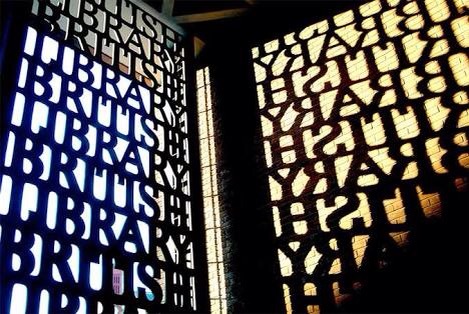 This is a six-storey glass and bronze structure that dominates the British Library’s entrance hall, and it is just an amazing sight! It is worth visiting just to see it. 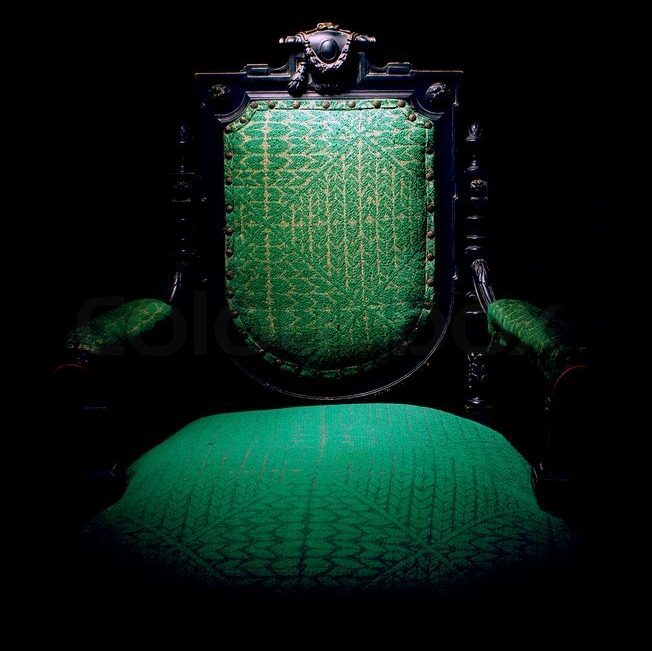 I am going to do something a little different this week. I am lucky enough to be in Melbourne for a few days and lo and behold, the Penguin Teen Australia showcase just happened to be on at the same time. So, I am going to give you my Top 5 Penguin Teen 2017 Books that are on my wishlist! Ok, so even though I have secured myself a pre-release copy of this gorgeous novel, it technically doesn’t come out until February, so it qualifies as being a wishlist item. This book is about four teenagers who are all born on the same Valentine’s Day start to disappear and bodies start piling up. Pearl has to figure out what’s going on at the same time as dealing with Finn, the most annoying boy she knows who she shares her Valentine’s birthday with. 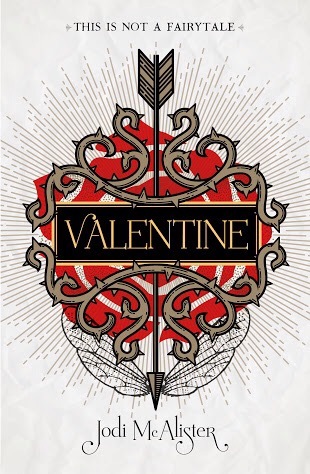 One of the four kids is a Seelie fairy – the Valentine – and now the Unseelie have come to kill them. I love books based around fairy folklore and so this is a book I am very keen to read! In the third book from Fleur Ferris, we meet Tamara. She has just finished high school and is planning her life at University with her best friend Relle. Things start to unravel when she arrives home to find her house has been broken into and ransacked, and her life put in danger. Fleur’s books always give me a chill and that’s because her stories and characters are so real and relatable. I’m really looking forward to this one! This book will be out in Australia in July. Pitched to us at the showcase as The Breakfast Club meets Pretty Little Liars, I am super keen for this book! It is the story of what happens when five kids walk into detention but only four make it out alive. They are all suspects and they all have secrets that they don’t want to share. This book will be out in Australia in June. This is one for dystopian/fantasy fans and sounds very 5th Wave-esque. It tells the tale of the daughter of a leading geneticist. When he dies, she must take on the task of solving the mystery heleaves behind in order to save the world from a lethal plague. This book will be out in Australia in November. A powerful over about activism, terrorism and family that is set in London. We meet Alena whose mother died when she was little. Raised by her older brother and his boyfriend, her life is about to be turned upside down when a bomber starts leaving explosives in supermarkets around East London. This book sounds extremely relevant and very emotional – a must read! This book will be out in Australia in July.